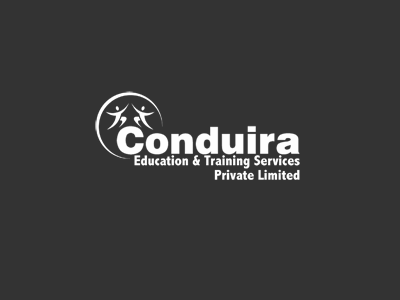 Conduira - Study abroad admin process | GRE, TOEFL, IELTS, SAT. Coaching and Training Institute . Online Tests for all courses through AIM. All B-Schools conduct a written test. The IIMs conduct a Common Admission Test (CAT), which has become a computer based test. Other top B Schools such as MDI Gurgaon, S.P. Jain, MICA, TAPMI, also base their selection on CAT scores. XLRI conducts XAT and this score is also a criterion for admission to XIM Bhubaneswar, XIME Bangalore and other reputed B Schools such as LIBA Chennai, Goa Institute of Management, etc. TISS, IRMA, IIFT, institutes related to Symbiosis, etc. have their own respective tests. The aptitude test, the first stage of elimination, tests a student's ability to perform under pressure. Quality control is stringent at this stage by testing candidates’ mental ability, hence only topmost of candidates are selected to go through to the next round. The test generally focuses on testing Verbal, Quantitative and Reasoning skills and includes questions on Reading and Comprehension, Language Proficiency, Numerical Ability, Data Analysis, Data Sufficiency, Critical Reasoning, Logical Reasoning, Psychological Aspects, General Knowledge and General Business Environment. The personality evaluation round usually involves a standardized series of questions or tasks, used to evaluate a candidates’ personality characteristics. For IIMs various tests and tasks involved are: Written assessment tests, Group Discussions, Extempore, Group tasks etc. Various B schools take into account varying procedures to test and confer on a candidate’s personality traits. A personal interview is aimed at knowing a candidate more intimately – assessing the clarity of thinking process, future goals and the 'fit' with the B-school. Personal Interview can also turn out to be an opportunity for the candidates to 'sell' themselves. While intimidating for some MBA-hopefuls, the personal interview represents a prime opportunity. Interviews allow candidates the chance to not only put a face and personality to the name and credentials on their application file, but also to express their academic, personal, and professional accomplishments, experiences, and intentions.